3LP+CD artbook edition, released in 24 pp. bound book with printed black inner sleeves. A quality album that will gain appreciation as the years go by and the filler music sinks into oblivion. Got a replacement copy through Amazon. Both had issues, but combining the best elements between the two copies I now have a perfect vinyl/book set. The aforementioned issues included visible dimples on the vinyl which caused pops, and the art book coming unglued. Definitely buy from a place with a good return policy. It took me a while to get into this album digitally due to the mixing - you really needed to crank it to get that bass the keeps the album moving. The pressing is lush and brings out a lot that low-end depth to tracks like Narkopop 2. It was a pleasant surprise to find the vinyl mix flows seamlessly between tracks on each side like the continuous mix available digitally. This is an immersive experience. The bonus track is a satisfying epilogue. So the art book fell off within 3 minutes of opening this. Is this supposed to happen or what? Edit: distro says the art book falling off is a problem with many copies of this release, seems like Kompakt dropped the ball on this one. My copy was also missing the C/D vinyl, which is just crazy bad honestly... Anyway, getting a replacement copy. Hope I get lucky this time. it's amazing how this album switches from the most unsettling, paranoia inducing soundscapes to the most soothing, unearthy experiences I've ever had with music. it almost feels as if it's trying to induce terror just to make the calm after it that more curing. 4 of these left for $53 in the sale section of the Vinyl Me, Please store. Free shipping to the USA if you're a member. Best price brand new, I've seen. First, I just want to say that this album is fantastic. It's the GAS record that didn't come out 15 years ago, just like you want it to be. Buuuuuuuuut, this release is stupid and gimmicky. The art book, like the box set, is pretty uninteresting, the printing seems kind of low quality, and the elaborateness of the packaging makes it prone to shipping damage. All this adds up to make it really expensive as well. I would have gladly paid $35/40 for a regularly housed 3xLP. I bought this, and am happy to have the album on vinyl (sounds great, good pressing), but I can't help but feel ripped off. It is a shame! I got my copy today and it was a waste! Marks and bumps in the record surface, some graisy stuff like gravel inside the packaging. One records looked like somebody bit a piece of it !!! Nasty glued fingerprints on booklet inside. Great music, terrible production!! Shame Kompakt!! Wasn't totally sure about this release at first, but after a few listens I'm starting to really love it. It's interesting that this is titled Narkopop, as the hypnotic and narcotic aspects of Pop are perhaps less present here - with more of a focus on individual sounds and samples rising through the wash to illicit a brief emotional reaction before sinking back into the layered depths. Narcotic in a different way perhaps, with less of a serene outlook and a darker and more paranoid atmosphere. 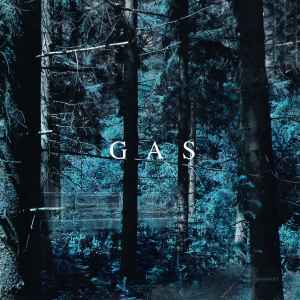 Standouts for me are the opening 14~ minutes with Narkopop 1 & 2, unsettling and discordant at times, and Narkopop 10 - which engages in more traditional sublime GAS fare, albeit with the newer inhibited tone of the album. Overall excellent, and I would recommend it to fans and newcomers alike.